MORLEY councillors are funding a police campaign to raise awareness of inadequate locks that leave homes vulnerable to burglars. Members of the Outer South Area Committee have agreed to contribute £2,500 to the Morley Neighbourhood Policing Team in the wake of the BBC’s expose of euro cylinder locks on a recent Inside Out programme. The programme showed the inadequacy of the locks often used in pvc and composite doors and how easily how they could be forced open with simple tools in under a minute. West Yorkshire Police this month revealed that a quarter of all burglaries in the county were being committed by criminals using a technique called “lock snapping”. The funding will help fund replacement locks at a reduced rate for residents who are most at risk. 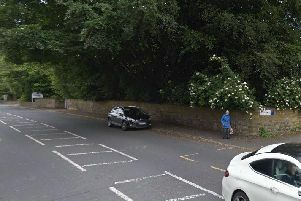 Coun Varley added: “I would encourage all residents who have concerns to contact the crime reduction officer at Morley Police Station to ask for his advice on what action can be taken. “We are also working with Aire Valley Homes to see what action can be taken to strengthen the locks on the doors of council owned homes.